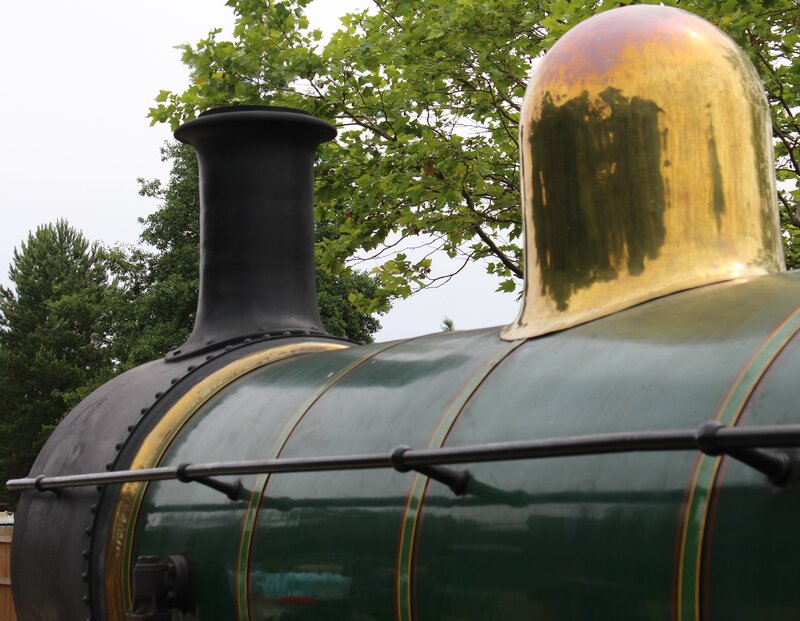 This beautifully finished locomotive is no stranger to this blog! All being well, the links to blog posts featuring this locomotive will appear automatically at the bottom of this post. 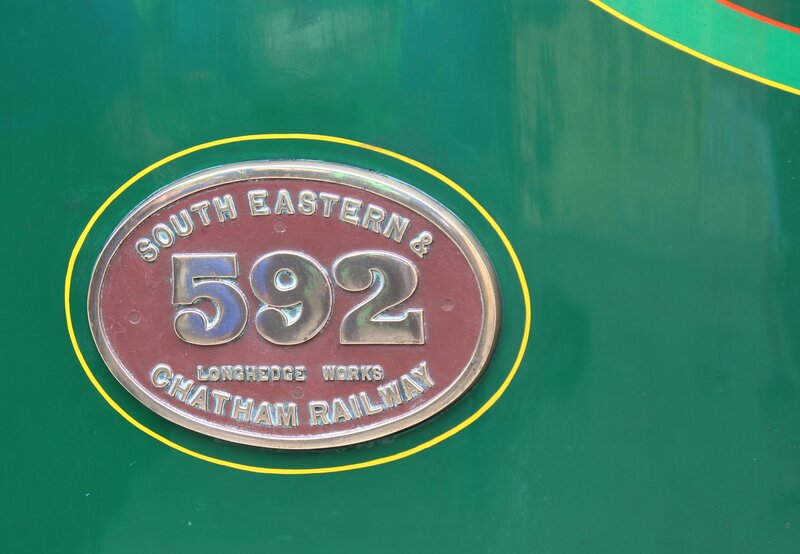 592 was built by the South Eastern and Chatham Railway (SECR) in 1902 at Longhedge Works to a design by Chief Mechanical Engineer Harry Wainwright. 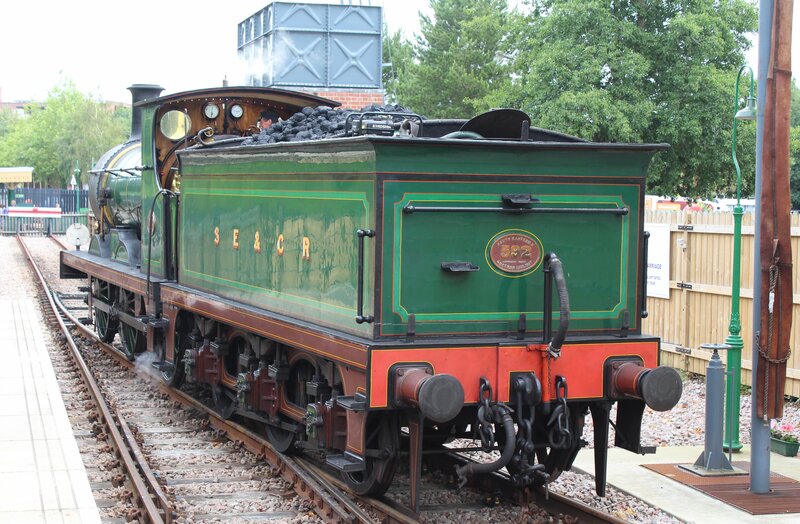 Once a member of a class of 109 locomotives, it is now the only survivor and a regular runner at the Bluebell Railway. This locomotive was one of three locomotives in steam during my visit to the Bluebell Line (click here to read more), the others being 56xx 5643 and SECR H class 263. 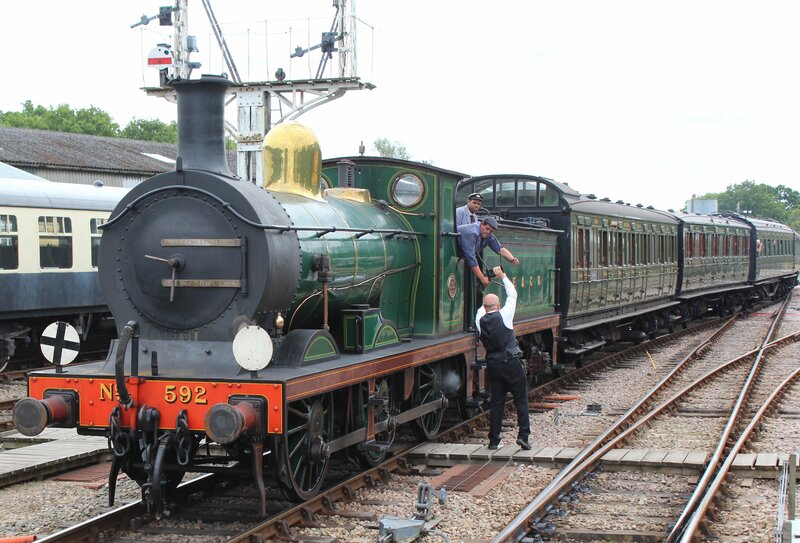 It was hauling a set of Southern Railway carriages, a mixture of Maunsell and SECR Birdcage stock, which made for quite a riding experience. The C class can be purchased in 00 scale model form (click here to read the review). The model is currently (as of 15th July 2014) available in most model shops, with a recent batch having arrived from China. The complex lining of the SECR has to be one of my favourites. This livery is shared by a few other locomotives ion the line, including H class 263, and P class locomotives. 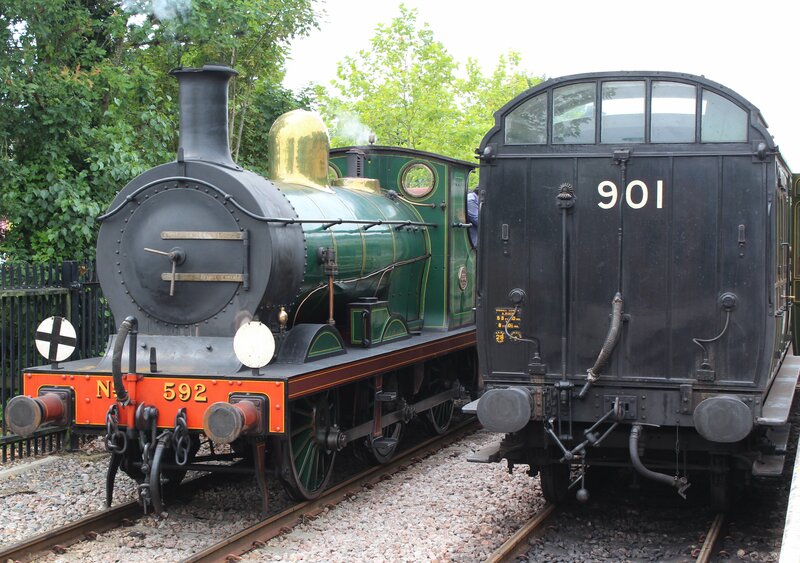 It is also shared by the National Railway Museum’s D class (click here for more). I’ll leave you with a few more pictures of this beautiful machine. Be sure to read more of the links at the bottom of this blog post! Thanks for reading!